Pitch after pitch of perfect névé—it’s like paradise, except for the spindrift, wind and storms. No matter. Embrace them, too, with the Pluma Jacket. 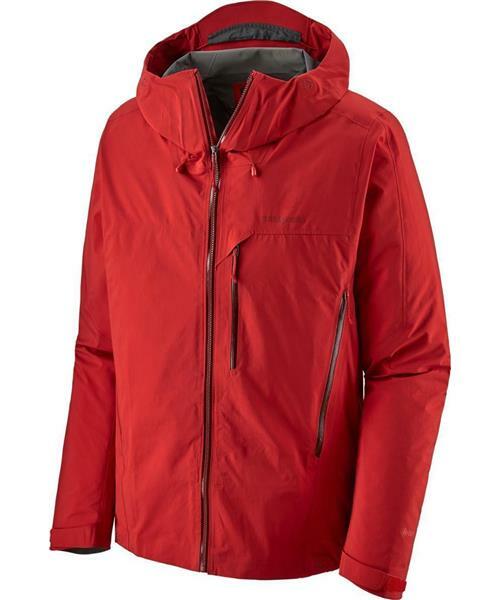 It combines durable waterproof/breathable performance in a lightweight 3-layer Gore-Tex Pro shell fabric (100% recycled nylon), featuring Gore™ Microgrid Backer Technology. The hood adjusts with a single-pull Cohaesive® embedded cord-lock system, which works equally well with any type of helmet or a bare head. The pair of handwarmer pockets sit high, above harness line, and use watertight zippers, as does the exterior left-chest pocket and the pit zips. Additional features include embedded cord locks at the hem for easy adjustment, minimal hook-and-loop cuff closures, and an interior right-chest pocket. The DWR (durable water repellent) finish helps shed excess moisture.